Discussion in 'rifle related' started by grumpyvette, Jan 30, 2009. 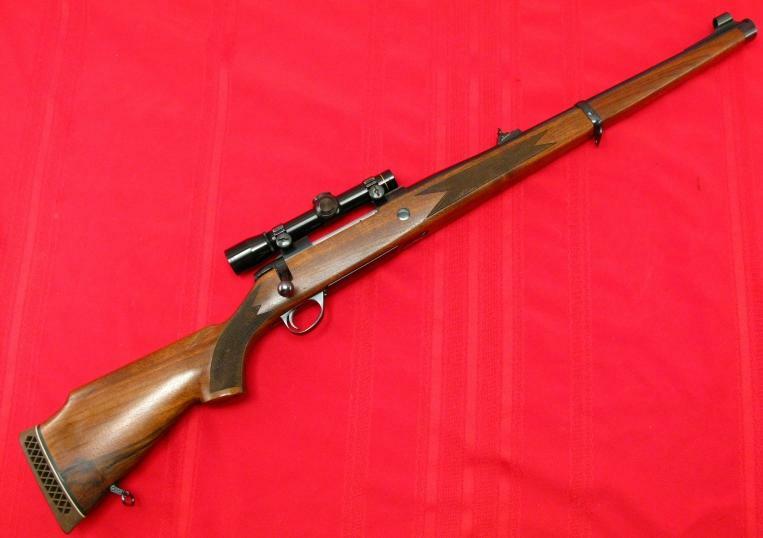 "if your starting over, and wanted a new ELK and DEER RIFLE, what would you buy and why?" no one here could realistically select , or even make an educated guess at the best rifle for your future hunts, without knowing both the area you intend to hunt and the game you intend to hunt. 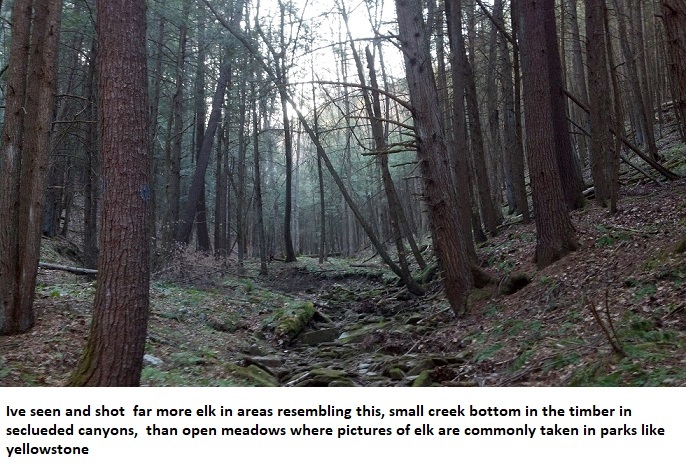 but I will point out a few facts based on almost 5 decades of hunting mostly deer and elk. 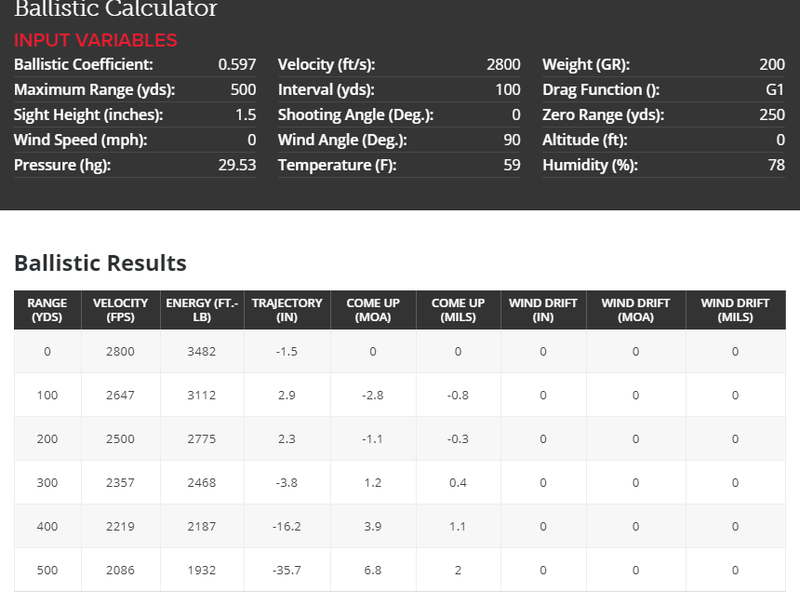 I've used about all the popular calibers from 270 win with a 150 grain bullet, up through 458 win (with 405 grain hand loads) at one time or another, they all work, but something like a 35 whelen or a 338 win combines both reasonably flat trajectory and the projectile mass to do a damn effective job. and rapidly hit a coke can off hand at 50 yards, let alone a walking deer at 100-300 yards and Id bet better than 90% of game is killed at under 300 yards. keep in mind, being in good physical condition, knowing the games habits and anatomy and dogged, persistence, and learning how too shoot rapidly and accurately from field positions will have far far more effect on your success than any change you make in the rifle you carry. you can have the best equipment available, but if your not willing to cross enough territory to be in the right place ate the right time, and that generally will not be in sight of camp,your hurting your odds of success. now Ive got a wide selection currently so thats hardly a problem, but If I was starting over AS A BRAND NEW ELK & DEER HUNTER,Id be very tempted to select a synthetic stocked BAR in 30/06 sprg ,300 win or 338 win mag caliber, and IM 90% sure the 338 win would get the nod, personally, because I HUNT ELK 90% of the time.! but ID strongly suggest the 30/06 sprg for a new guy! (why?.. the range power and recoil are all well within the average range most guys can handle , if you step up to something like a 338 win, 340 wby or 375 H&H you get more knock-down/ penetration/range, and power and that effective range can occasionally be useful, but the trade-off is increased ammo cost, and recoil and rifle weight in some cases. but remember most game is killed well under 300 yards so a rifle like a 358 win BLR, 450 marlin, or 35 welen, which has a rather limited range compared to a 300 mag or 7mm mag, or even a 30/06, is not the handicap many people would have you believe, thinking back over the last 47 years of hunting I can remember damn few deer or elk that were seen or shot at over 200 yards let alone longer distances. but as strictly as a TOOL to kill ELK, the BAR has some advantages. the longer I hunt ELK the more Ive been convinced that a fast and accurately placed shot, the guns intrinsic speed in handling and confidence in your rifle far out weight the small advantage in accuracy the bolt guns provide, and while I have zero problem using a falling block single shot, a semi auto tends to give the newer guys a bit of confidence and the action soaks up a good percentage of the felt recoil. I have had a remington 7600 in 35 whelen as a shared hunting camp back-up rifle available on many of the trips to hunt elk, and its saved the hunt for several guys over the years when for various reasons their rifle stopped functioning. the more experience I got the less I worried about the rifle being used, simply because Ive seen everything from a 257 robert's BLR to a 458 win ruger single shot, used successfully, to kill elk. I personally trust, and prefer to carry the .338-.375 caliber rifles , but Ive seen that anything from .257 to .458 works if the guy carrying its knows how to use what he has in his hands. 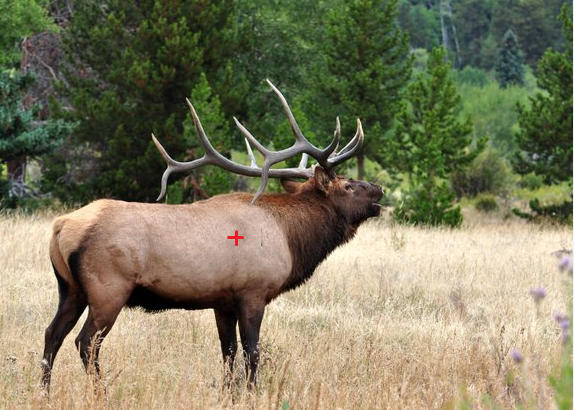 animals are far from armor plated even a 357 mag or 10mm will drop an elk with a well placed shot. you can't ignore physics and a heavy bullet of high sectional density tends to get much better penetration and carries energy well. personally I prefer the 340 wby, and 375 H&H for big game, my late hunting partner used nothing but a 358 win BLR and referred to my rifles as cannons. theres too many guys with a long list of successful kills using other cartridges to think that theres a magic upper or lower limit ,that must be adhered too on the weapons power to get it too work. howard hill killed elephants with archery equipment, there have been record size grizzly's killed with a 22lr, eskimos have killed dozens of polar bear and huge walrus with a 243 win. find what your comfortable using, use a quality bullet heavy for bore diameter, and learn how to shoot well from field positions and you'll have very few problems. 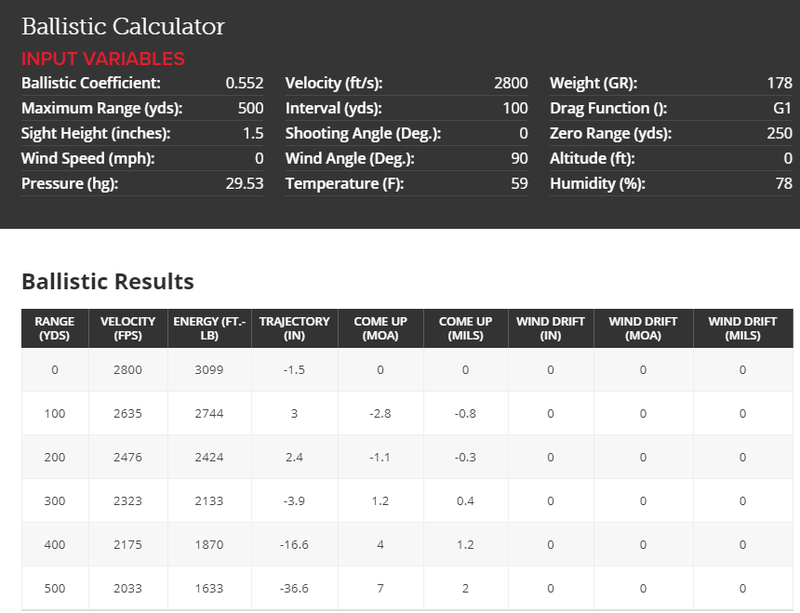 power does NOT make up for bad shot placement, but it does allow you some extra latitude in making racking angle shots, at longer ranges, that you should not attempt with lesser calibers at longer ranges. but I'd also point out that in almost 50 years of hunting , I'd bet 90% of the game Ive shot or seen shot was killed at well under 300 yards. Id remind anyone looking to purchase an accurate dependable hunting rifle that youll want high quality optics and rock solid scope mounts, the best rifle available will be seriously hampered if its not matched to clear and solidly consistent optics! 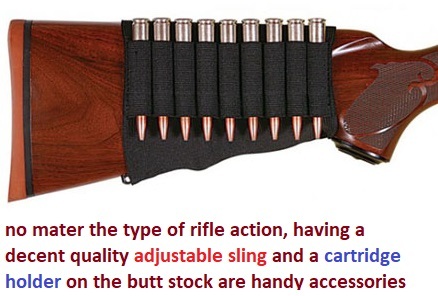 one of the most common failures I've seen over the decades was not related to the basic rifle function (although that did on occasion happen) but much more commonly loose scope mounts or cheap optics that failed to retain zero or fogged. for most hunting you don,t need some huge high magnification scope , what you need is decent quality and rock solid dependability. the newer LEOPOLD and NIKON 30mm tube size scopes are mostly an excellent value for the price. yes theres hundreds of options, but if your looking for a good value Id suggest you want to select one with top quality optics for the price, a 30mm tube and 50mm front lens in a well known respected brand is a good start point for good low light transmission and clear target,vision. 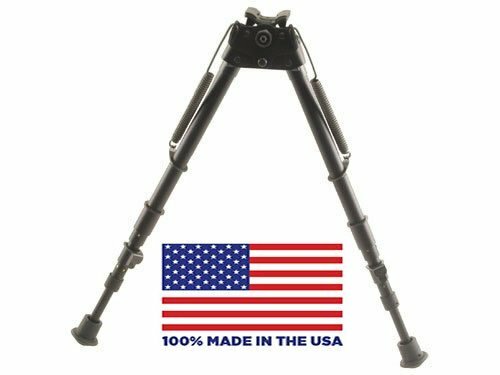 something similar to these linked below would provide an excellent match to a deer or elk rifle to be used for precise shot placement with most reasonable caliber elk/deer rifles, set on the lowest setting they allow you to make very rapid and accurate shots, if you have the time to get a solid field position, jack the magnification up as required. most modern quality scopes are far better than they used to be, but there are some advantages to buying the larger objective lens and 30mm tube designs. if you've ever taken a scope like one these out at dusk too actually compare how clear the details are you can see, you might be amazed at the difference between the scopes similar to these compared to the older 1" tube and smaller lens size scopes, the newer scopes are a quantum leap in quality over the scopes available even 10-15 years ago. If you get the chance take out several rifles with different optics , out at dusk and look at fine details on something like a fence at even 150 yards, the difference in the finer detail you can see in less than ideal lighting will astound you! and ever choice is a compromise in rifle weight, flat trajectory, acceptable recoil, useful, bullet mass and potential impact energy and penetration. from what Ive seen Id suggest the 270 win with a premium 150 gain bullet, or a 30/06 with a 180 grain makes a dependable choice, if recoils an issue. everyone will compromise in some area and find what they are comfortable using. if your looking for a reasonable compromise in rifle weight and recoil yet still having a rifle that works rather well on both deer and elk. no one disputes the lethality, trajectory or penetration. keeps you from comfortably exploring the next canyon, with some old geezer like me, you probably need to eat better and exercise more often. and the cost of the rifle amortized over the 45 plus years is negligible, hand-loading puts the ammo price in a reasonable range. Im now 70 years old slower than I was, but more persistent and far more skilled and knowledgeable, it may take me longer, to get in and out of the canyons but I know what I'm doing and where to look, and I can still shoot accurately. WHY? well as a NEW HUNTER Id want a fast handling accurate rifle that would provide a solid hit potential and the ability to provide a fast back-up shot. 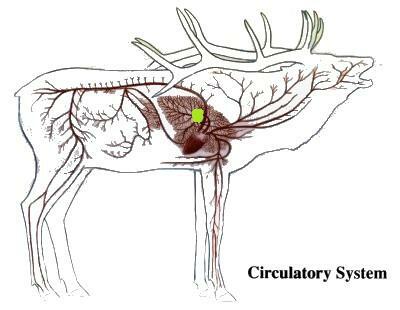 in spite of the thousands of magazine articles youll read to the contrary, most deer and ELK are shot at UNDER 300 yards and under 150 yards is the average distance. 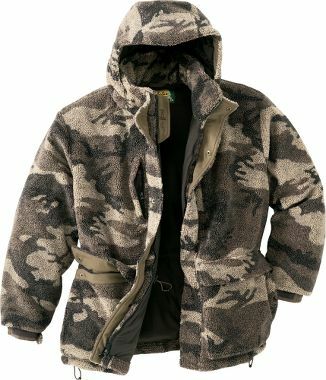 I will be the first guy to tell you IVE not needed a second shot in many years but having that option instantly on tap is a good thing in my opinion, ESPECIALLY for a newer ELK hunter. Ive hunted with MY 338 BAR,and MY 30/06 sprg and while they are not my favorite rifles they have been extremely effective. now I hear the screaming already! Im not promoting the SPRAY AND PRAY mentality, but I usually start the new guys off with a slide action, a lever action or a semi-auto and Ive found the semi-auto is by far the best because theres nothing to distract the new guys, theres nothing but release the safety, aim and fire....need a second shot, you don,t do a darn thing, but regain the sight picture and squeeze off the next shot, and that's a big advantage when your hearts beating so fast you can hear it, and your minds running wild, as your shooting your first few ELK.! make that first shot count and you will not be concerned with magazine capacity or making a rapid second shot. how many of you gentlemen have and use a bi-pod on your rifle? 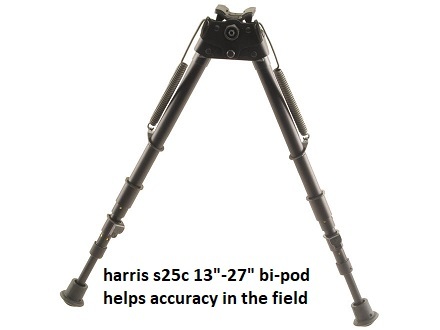 Ive used the 13.5" /27" swivel bi-pod for decades on my 340 wby synthetic bolt action, rifle. 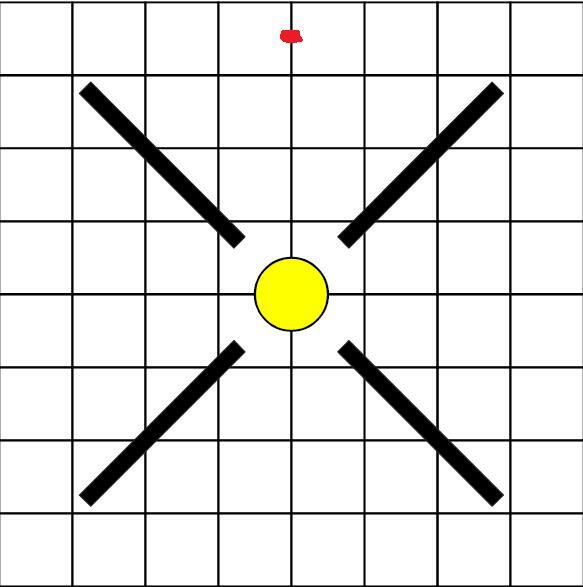 the key here is in carefully selecting the areas hunted and not randomly wandering aimlessly. natural travel routes and terrain choke points, and not wasting time glassing the areas with lots off easy road access. 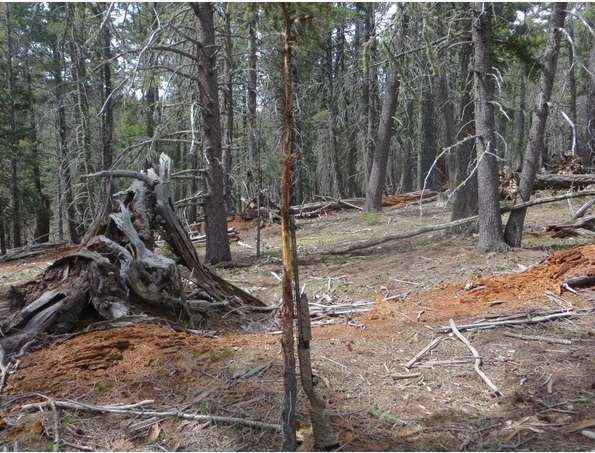 elk and deer learn very quickly that travel, during daylight, near logging roads with vehicle travel access , is not safe. if you set up to glass for game on a natural game travel choke point , like a narrow side canyon, that has a creek and cover youll up your odds significantly. 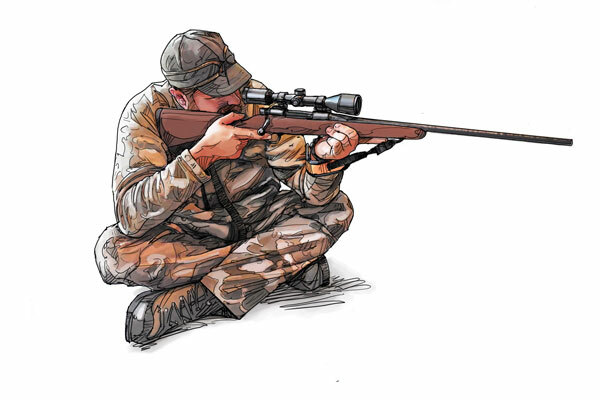 having a bi-pod on your rifle and a good familiarity with your rifles trajectory sure helps. both rifles make the trip most years. if the targets inside of 500 yards its in serious trouble. Ive yet to see a deer or elk shake off a single hit! that carbine accounted for at least 14 elk over 35 years. 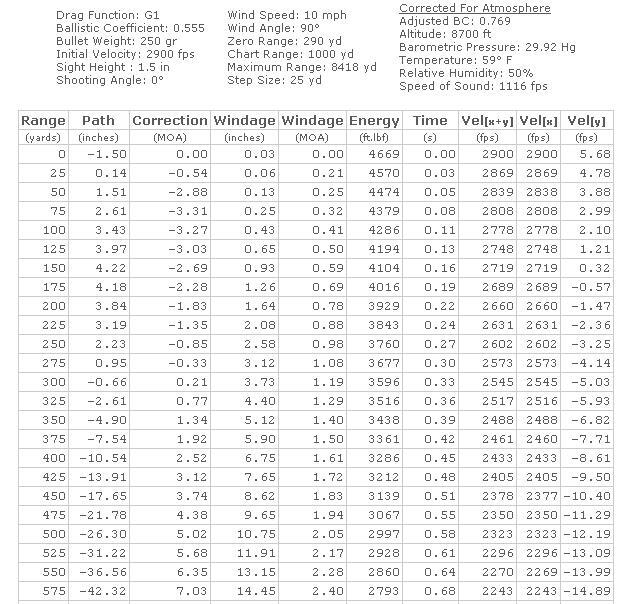 he constantly referred to my 340 wby as a "damn CANNON"
I've used one and I don,t see a damn thing thats in need of improvement if you hunt the ticker timber areas. I would have saved a wheelbarrow full of cash if Id stopped buying new rifles trying to find something better.... never did! I doubt any deer or elk would not have dropped if hit well with any of those rifles. so I doubt any deer or elk would notice. Grumpy you come up with some interesting questions. 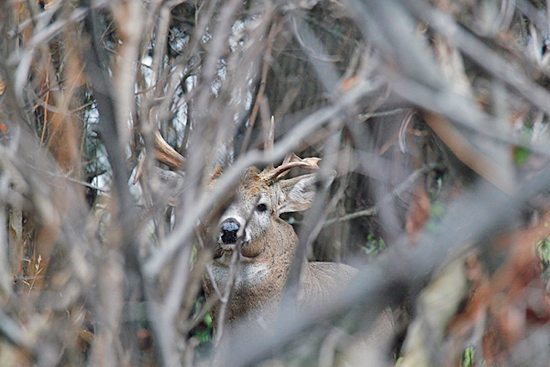 What to advise for a new guy for deer and elk. Well, I grew up in Lassen County California, mulie country, with bolt actions, ought six stuff early on, lately and for a quite awhile now the Rem model 700 in 300 win mag. I load, so I can custom load the win mag to light loads or heavy loads. Not much heavy game around here, mostly goat and axis deer. 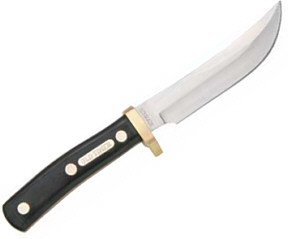 Wild pig too, but that is in the heavy rain forest, and we use dogs and knives for that, no guns. For the goats I like the Nosler 150 grain ballistic tip boat tails with a fairly hot load. I like to hunt at 8,000' to 10,000' elev. along the back side of Haleakala volcano. No cover up there so unless you get lucky and can get close, they are mostly long shots. Deer are recent imports to Maui and I really haven't gotten into hunting them. They are brush residents, and hang a lot near residential developments, and I don't like hunting in those areas. I've got a couple of .223 rigs, an AR15 and a Ruger mini-14 Ranch Rifle, both are fun, but I don't hunt with them. In the 60's and early 70's Haleakala crater had a lot of goats, we used to go in as National Park Service deputized volunteers and round up goats on horseback and knock em off, used the AR15 a lot for that, that was mostly close work. The National Park was being fenced off to keep out the pigs and goats, and we were the "clean up" squad to clear out the inside of the park. I've never used a semiauto in the bigger calibers, so can't speak to their abilities. Get so you know your weapon well, and know where you are putting your shots and can put them there with confidence. I've hunted with guys that like to blow lead all over the mountain, I only hunt with them once. And take a certified hunters safety course. on the area and terrain being hunted, the game, being hunted, and likely range limitations. obviously if the area your hunting is limited to a shot gun, or strait wall cartridge or if theres game department caliber or muzzle energy limits, caliber minimums etc. those limits must be stated for the advise to be a reasonable match to the intended usage, and area. than I could anticipate your , choice in a wife. yes there are dozens of well, proven combos, most are fully functional in most areas, under most common conditions and ranges. and its the skill and confidence and experience of the guy using the rifle that tends to mater more than the rifle or caliber selected, in many cases. 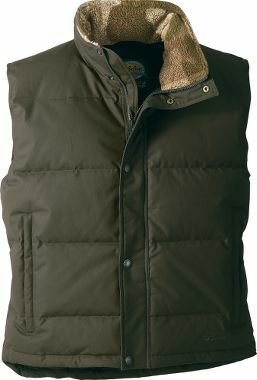 as does having a comfortable light weight back-pack to transport game meat, and a poncho to keep you drier in heavy rain or snow. when I started hunting elk, the PETERS, winchester,remington, and federal 220 grain 30/06, ammo, was being used in a slide action remington, or bolt action by almost all the older guys I saw , and was what the older guys used. 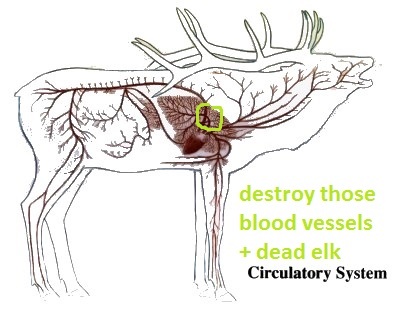 IT killed ELK very dead, not instantly,in most cases, but it was dependable, and a single well placed shot resulted in a dead elk every time! but the truth is "IT killed ELK very dead, not instantly,in some cases, but it was dependable, and a single well placed shot resulted in a dead elk every time!" 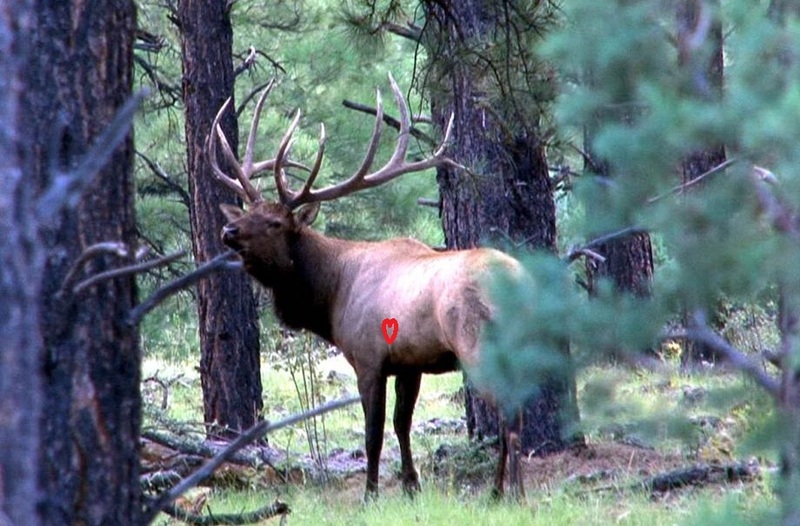 Over the last 39 years or so Ive seen almost everything from a 257 bob loaded with 100 grain soft points to a 458 win loaded with 405 rem bullets, used on ELK, same deal,IT killed ELK very dead, not instantly,in most cases, but it was dependable, and a single well placed shot resulted in a dead elk every time! yes some things worked better, faster,or at longer ranges or made the job easier, but it still came down to hunter skill and shot placement more than the caliber. I have a friend that recently hunted in Washington state for elk, he was new to elk hunting but had hunted deer in Virginia a few times, he was a guest of a local guy and he spent months before the hunt reading up on every facet of elk hunting he could locate, he was convinced he needed a 300 mag rifle after reading dozens of magazine articles. well opening day comes around and hes driven several hours with his friend to where they will be hunting, hes borrowed a 300 mag from one of the local guys friends,and hes only shot it the day before at the range and as he gets ready to walk in he finds the scopes fogged up, and the rifles got no iron sites as a back-up, hes basically holding a useless rifle, but luckily, his friend says hes packed a back-up rifle just in case. It turns out to be a marlin 45/70 with iron peep sights, he rather reluctantly takes it as theres no real choice, at that point. he is assure the rifles dead on at 125 yards so he puts a dozen cartridges in his pocket and walks into the area. to make a long story shorter, he drops a fine 4 point elk on the second day with a shoulder shot at about 60-70 yards and gained a great deal of respect for the 45/70, his friend got skunked and never got a shot, and his main impression was that a rifle that can shoot 400 yards may be darn impressive but in the area he hunted 80 yards was one long distance to see anything as it was heavily wooded and steep slopes and he found the marlin a good choice, so much so that he went and bought one. in a carbine/stainless version. just wanted to add that I recently meet about 5 of the guys I usually hunt ELK with and several more guys who only occasionally hunt with the group on various trips out west for elk,at the range and for coffee, later and we discussed the changes in our equipment choices, over the years, now Id point out that many of the guys in the group are getting older and have many years of experience, now. but the trend away from the really big magnums , long barrels, huge 6-18 and 4x12 x scopes and super fast sub 30 calibers is very obvious. the 338/06 and 35 whelen , 358 win , 280 rem and 30/06 are by far the most common calibers we all tend to use now, with a few guys hanging onto the heavier 338 win,375 H&H, or 45/70 and 340 wby. he already owns a sako 25/06. so I asked him why he would want to spend roughly $1600 on the 6.5 creedmore? which shoots flatter than a 25/06 but the 25/06 is certainly not a bad rifle, so being in a big rush to grab a 6.5mm seemed to be a waste of cash in this case to me....especially when I know from experience that seeing a deer worth shooting in the field at over 500 yards in most areas is going to be a very rare deal. it would take only a couple years before anyone interested in owning a firearm could have purchased one or two. and the market would be drastically reduced in size. my dad had a 10ga ithaca double and a winchester pump 22 lr and never felt the need to buy anything else. the 338 lapua and 340 wby and several other larger bore .416 rifles have the bullet mass to predictably place hits out well past the range most rifle owners can not even contemplate. the 1874 Sharps was the ideal rifle for long-range shooting. Buffalo hunters frequently made killing shots exceeding 500 yards, but Billy Dixon did that range some better in 1874. Dixon was a 24-year-old buffalo hunter at a nondescript settlement known as Adobe Walls, the scene of a massive Indian attack 10 years earlier. Now the Comanche, Kiowa, Cheyenne and Arapaho were planning to attack the supply post again. The Indians outnumbered the 28 people at Adobe Walls 30 to 1. The attack commenced on June 26 and raged for three days, with an estimated 700 warriors slain and 70 wounded. Frustrated, the Indians gathered on a distant bluff to reconsider their strategy. Seeing one of the warriors silhouetted, Dixon, who had lost his “Big 50″ Sharps in a skirmish, grabbed a friend’s .50-90 Sharps and fired. The warrior toppled from his horse. Their confidence shattered, the Indians grabbed the body and hastily rode away. and some guys will tell you that something like a newer 7mm/08 with a lighter weight projectile would be a better choice. 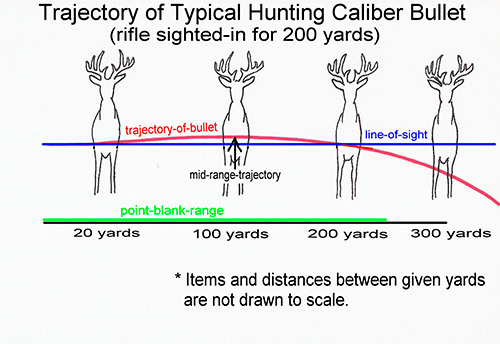 yes the magazine articles seem to promote extreme long range and flat trajectory as the norm and try to push the idea that most game is shot at extreme range, this may be great for magazine, ammo, and rifle sales but it does not reflect reality in my experience,I've hunted several western stated for mule deer and elk for almost 5 decades , I've practiced hitting small targets out at 500 plus yards frequently, but Id think my average mule deer and elk was clearly taken at under 200 yard and very very few over 350 yards. 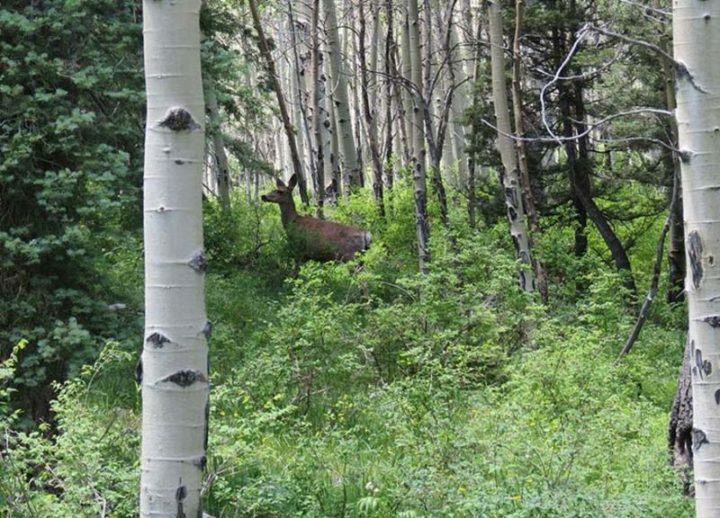 but because most elk and deer, tend too stay in the aspen and conifer so they are not readily visible but because most large antlered elk and deer, tend too stay in the aspen and conifer so they are not readily visible, yeah youll see smaller bucks/bulls and does/cows wander out in meadows , but the game you want is seldom that stupid! youll rarely find a trade to a significantly lighter weight projectile beneficial, except as a way to reduce recoil. honestly I can count the number of times I've even seen a legal bull elk that looked like it was worth shooting, on public land, at ranges over 300 yards in the last 46 years on a single hand and still have unused fingers.. In my experience a 338 caliber, 250 grain bullet pushed too just under 2800 fps, from my 340 wby, kills anything I've ever used it on. 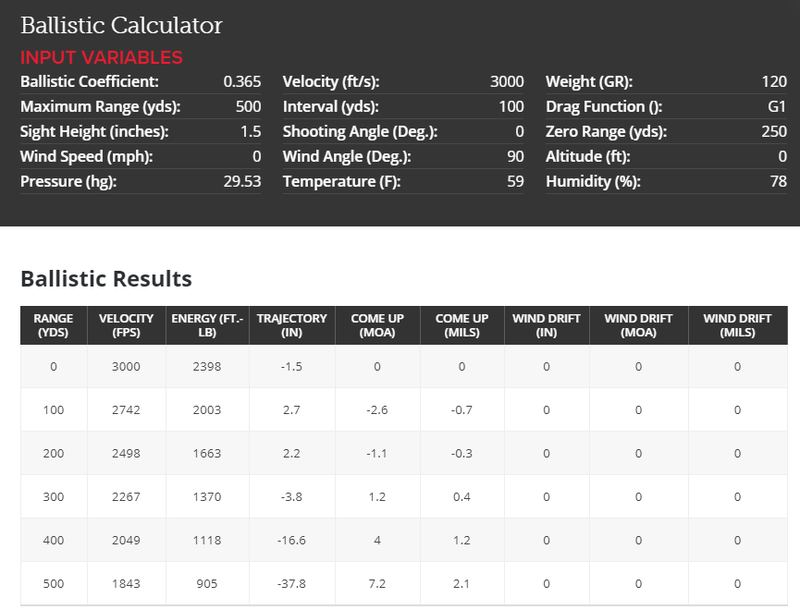 yes in theory I could gain a bit flatter trajectory and a bit more impact energy by boosting velocity with hotter loads... but I don,t see any benefit! 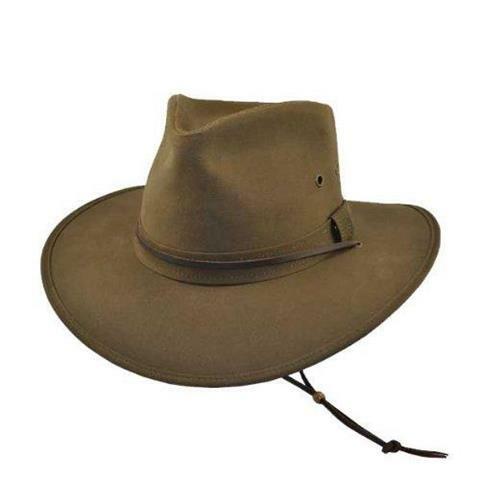 I don,t, miss a minutes sleep worrying about the rifles lethality. I'd bet he would totally flip out if he knew my back-up rifle was a 20" sako 375 H&H carbine that barely brakes 2450 fps with a 270 grain bullet and that both rifles have a long very successful record of dumping elk! or have had the best results using. I tend to grab the rifle that best matches the terrain and game I intend to hunt , and I've come to prefer and favor the 33-45 calibers personally, but after almost 50 years of hunting big game I've come to realize that the guy holding the tool and his level of experience, and persistence, is by far the most important factor determining the likely success. select about anything with a common deer rifles power level, like a 270 win-308 win and an experienced and knowledgeable and persistent hunter cam make it work rather effectively. ID point out that you,ll read a great many magazines that stress the need to have a long range and accurate rifle and that certainly will work, but in 45 plus years of hunting deer and elk I could count the number of larger game I've shot or seen shot at over 300 yards, and not run out of fingers on one hand! 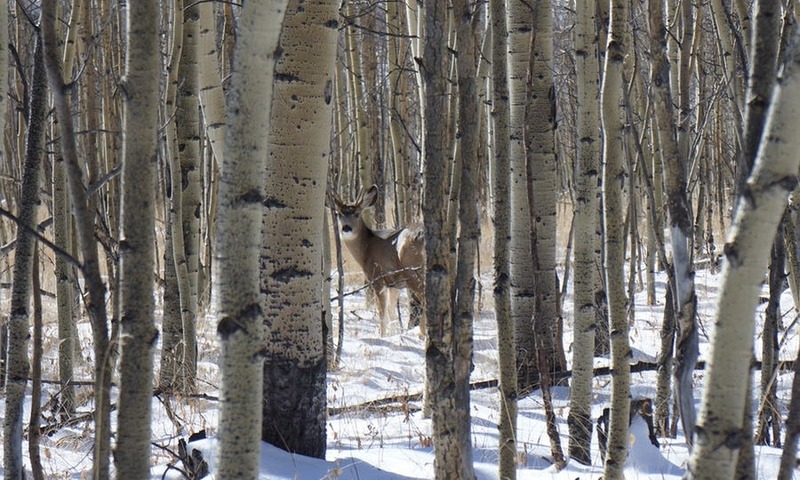 deer and elk may pose for pictures in national parks , ow in areas that are not hunted extensively, but the experienced game fades into the timber, and remote less traveled areas, once the season starts in most areas. If your hunting the canyon and timber your shots tend too be well under 300 yards, most of my kills were well under 200 yards. rapid lethality depend on where you place the projectile and how much damage is done. should obviously be considered the major factor in potential lethality expected. they may not do as much damage to the lungs,initially but they are 100% lethal if shots are well placed. and frequently leave a blood trail. provide deep penetration through muscle and they do tend to leave exit wounds more often. if you hand-load you can custom fabricate ammo specifically matching your requirements. or be loaded with fast expanding hollow point bullets to give rapid expansion. 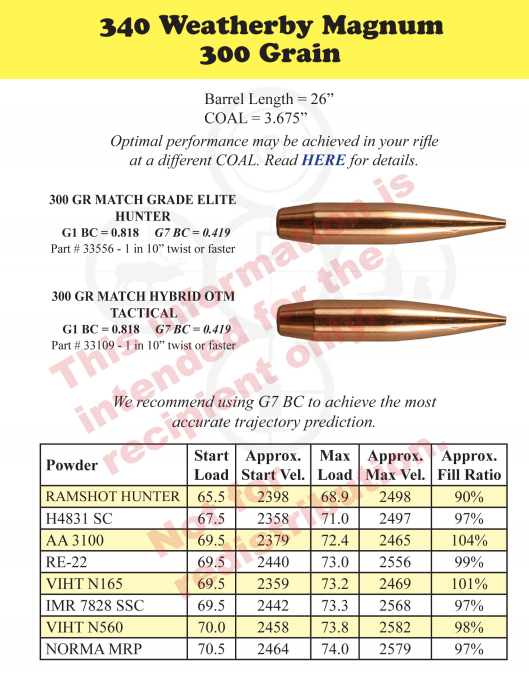 I was arguing with my friend the other day about the best caliber for all-around hunting big game in the U.S. The conversation came up because I am moving out west, and will be hunting a lot more with my rifle, since I already own a .270 win. My friend's argument is simple, he thinks the .270 is a "dumb and unnecessary" caliber, since 30-06 can do the same, and more. I don't think that's true. 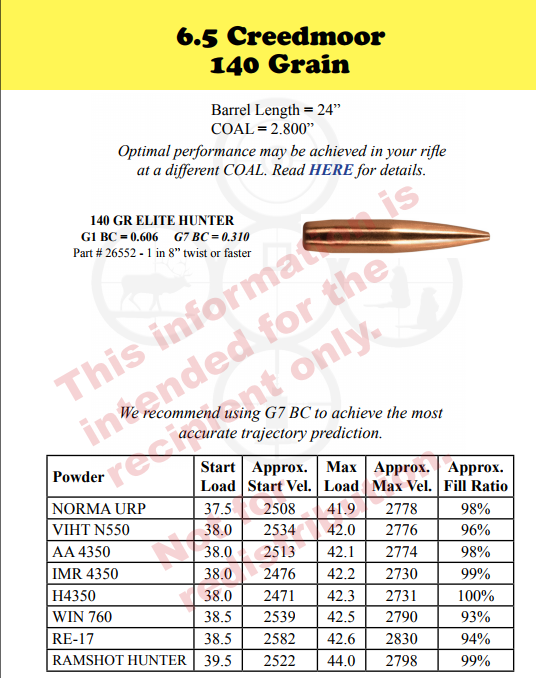 I think the .270 has a superior ballistic profile than the 30-06 due to the lighter bullet, providing a flatter trajectory and making it a better option for longer range hunting in medium sized animals such as deer and medium sized hogs. My argument is that you can use the .270 to hunt almost anything, and if you could only have one rifle the .270 is a better choice. The 130gr bullets are perfect for medium sized game and better than the heavier 30-06 options, which means you could get used to your rifle since you will be using it on all your hunts. If going for an elk hunt, you can use a 150gr bullet, and even though the 30-06 would deliver a stronger punch, being familiar with the .270 you could deliver a pretty accurate shot. My friend thinks there is no point on using a .270 for anything, since the 30-06 ammo is the same price and can do much better. We are not really that knowledgeable about firearms, so I brought this to the forum since there's a lot of much more experienced hunters here. What do you guys think? if you could only have one rifle, would it be .270 or 30-06? provided your careful in selecting the ammo,either cartridge could be used for most medium and larger game , the quality of the projectiles for both bore diameters has improved a great deal over the last 30 years. I've personally killed a couple elk with a 30/06 and seen several killed with a 270 win, I don,t think your going to go wrong with either choice, PROVIDED you select the better quality bullets. I don,t think youll see enough difference to tell the two options apart, under typical field conditions. most of the guys I hunt elk with prefer the 150 grain 270 bullets,for everything. those that use the 30/06 have found the 165-200 grain weights depending on the game its to be used on. (well under in most cases) Id bet close to 90% were killed at under 200 yards. few people stop to look at things from the view point of using ballistics and related math or bother to think through realistically the ranges the effect on game, their choices will have. is killed at well under 250 yards than at greater ranges. 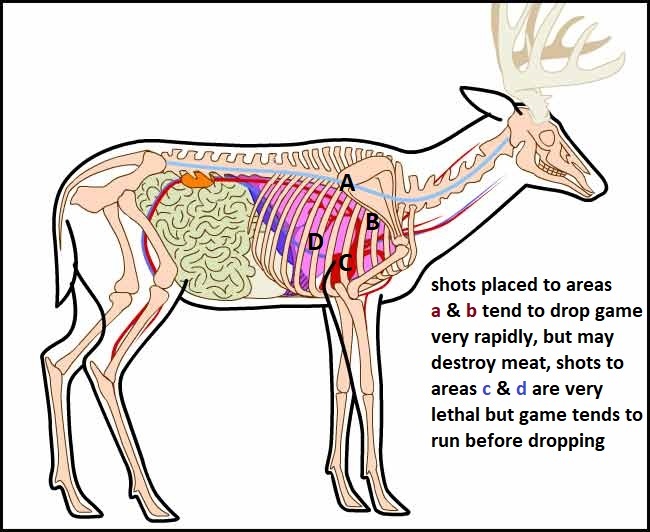 theres not a game animal in north America that a 270 win or a 30/06 won,t kill with a single well placed shot, if a fairly heavy well designed bullet is used by a rifleman familiar with the games anatomy. that does not necessarily suggest they are ideal, universal choices, simply because their effective use is dependent on getting the ideal or close to ideal shot angles to allow the vitals to be penetrated and destroyed. those of us with extensive experience generally tend to have seen enough game shot to appreciate the fact that heavier for bore size projectiles do tend to penetrate deeper. 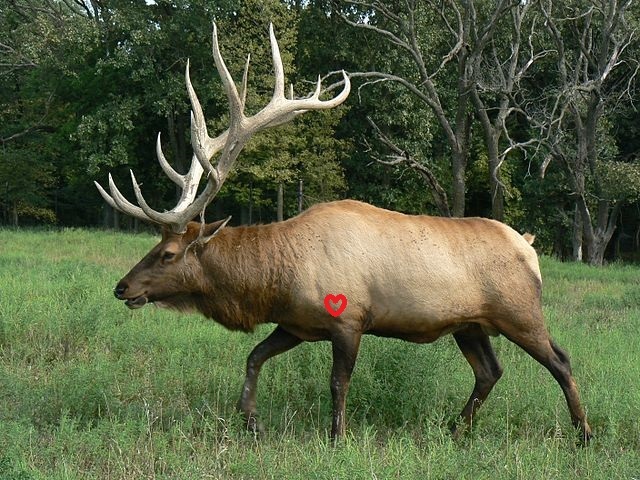 theres not a deer or elk on the planet that could survive a well placed shot from a 165-210 grain 30 caliber bullet from a 300 mag from a broad side , heart/lung impact. 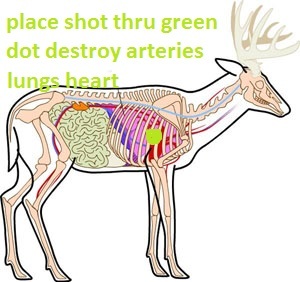 but if your only shots a raking angle through a ham, through the gut and into the heart/lung, vitals its going to require extremely good penetration, and increased inertial mass, and a thick jacket allow that. 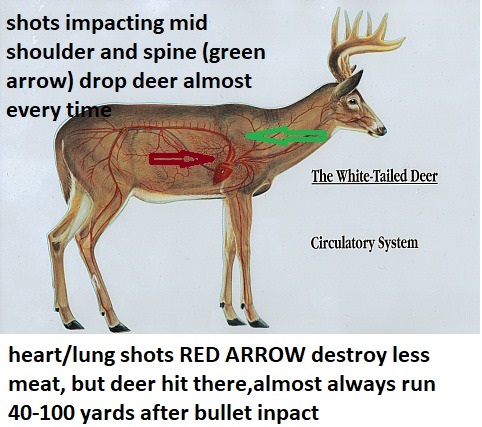 theres a good reason many country's suggest a minimum caliber for large game, larger bore mandate more massive projectiles, and the increased mass and resulting retained inertia energy insure a bit more penetration, on impact. what rifle or caliber you prefer is less important than having the skill and confidence in its use and experience to accurately and consistently place shots as you intend too from field positions , personally I prefer a 250 grain 338 diameter bullet, but I doubt my results would have changed if Id used a 150 grain 270, win or a 200 grain 300 mag. 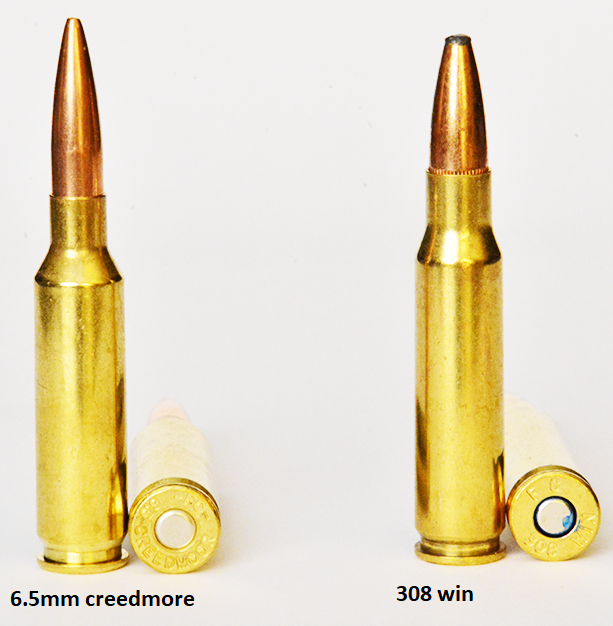 6.5 Creedmoor vs 308I'm looking to purchase a new rifle. I'm looked through forums at nosia trying to compare 6.5 vs 308. The information I'm truly looking for I cant find. That is these 2 calibers at close range. I like the idea of the 6.5 for less recoil. But how does it do from 20-200 yards where most my Wisconsin hunting shots occur. 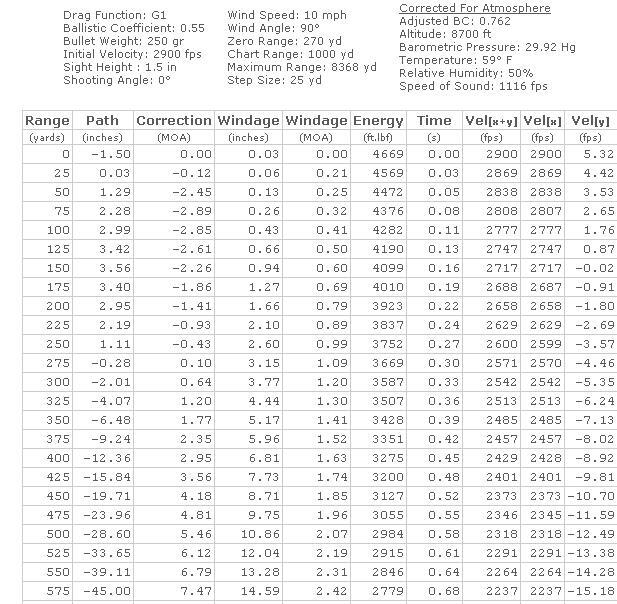 Every time I Google the 2 all I get is how superior the 6.5 is at long range. But what about your normal 70 yard shot. Or even 20. Would love to hear from you guys/gals on this matter. Would probably shoot 143 eld x out of the creed or 150 accubond out of the 308.
the equipment's excellent, the equipment's operator skills need serious improvement. most guys won,t admit the fact that those 1" or less groups are impressive, but once your forced off the bench rest thats not what the combo of rifle and its operator can produce in the field. but so does a 270 win, all but meaningless when most guys under field conditions could not place shots consistently in a 6" circle at 100 yards on their first shot if their lives depended on the results. a great deal more time and effort spent learning your rifles trajectory and learning to shoot well from a quickly acquired field position takes precedent. 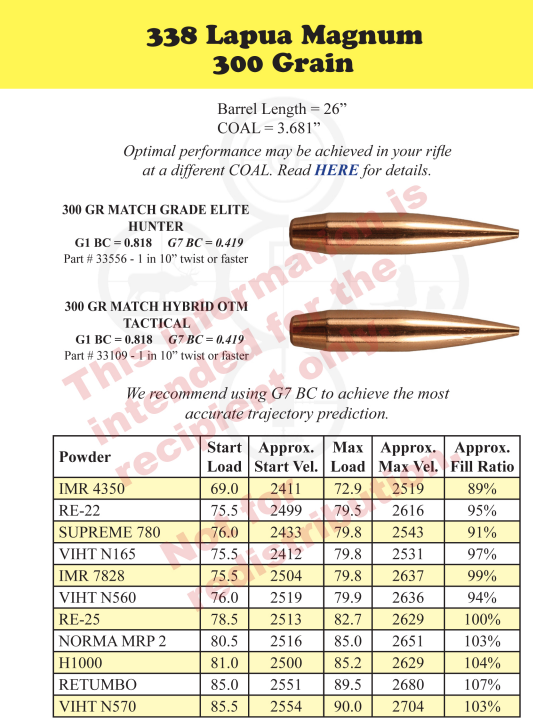 308 wins ammo is cheaper to find much more common ammo, and has a long successful record of successful use. you really can see the difference if you use a rifle with decent power, a 270 win with a 150 grain bullet is about the ideal minimum in my experience for ELK, and a 25/06 with a 115-120 grain bullet, on deer works ok.
results in a short run, of 40-100 yards. the high shoulder shot with a slower expanding bullet, with good sectional density is a decent option as it allows more angles to be utilized, on ether shot option. 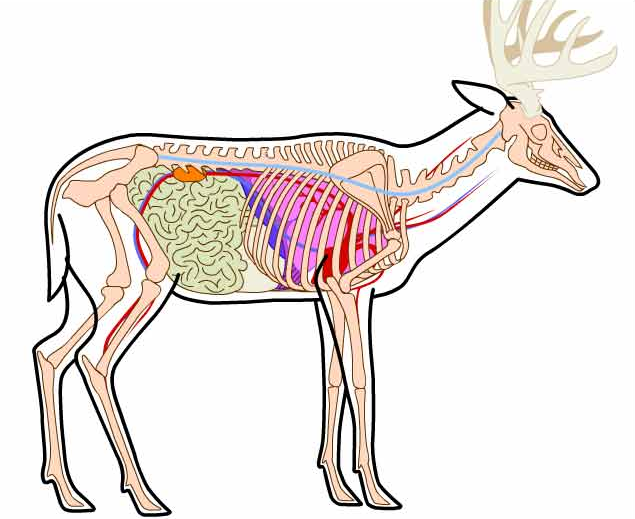 a good knowledge of elk anatomy is mandatory. if you can handle some recoil, a 300 mag, 340 wby or 375 H&H or 450 marlin can make a lot of sense. good boots, a decent back pack, a rifle with a bi-pod, and great optics are a big help. 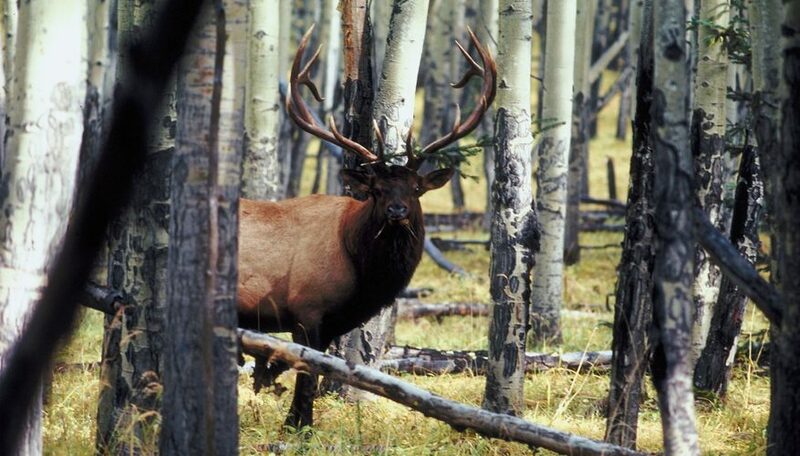 Ive hunted elk for almost 50 years, Ive seen guys successfully drop elk with everything from a 257 Roberts to a 458 win mag. both guys have a long list of successful hunts. 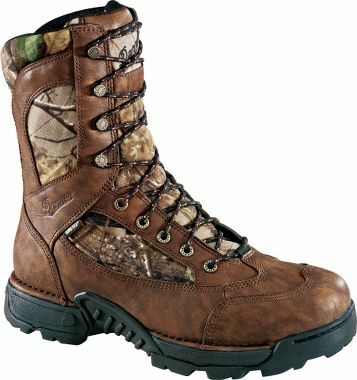 If Im hunting the dark timber a 7600 remington 35 whelen, a sako 375 H&H carbine or a browning BLR in 450 marlin or 358 win all work just fine! 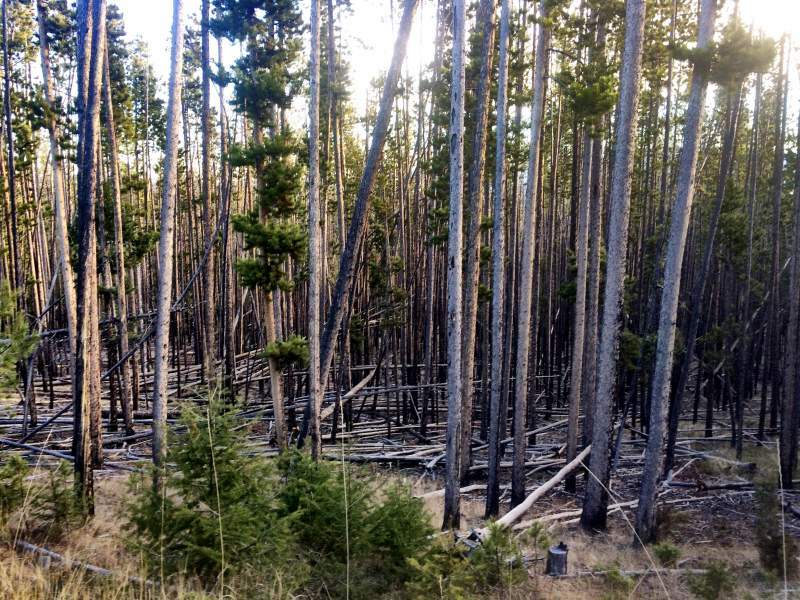 Why is a lever job associated with deep-woods hunting? 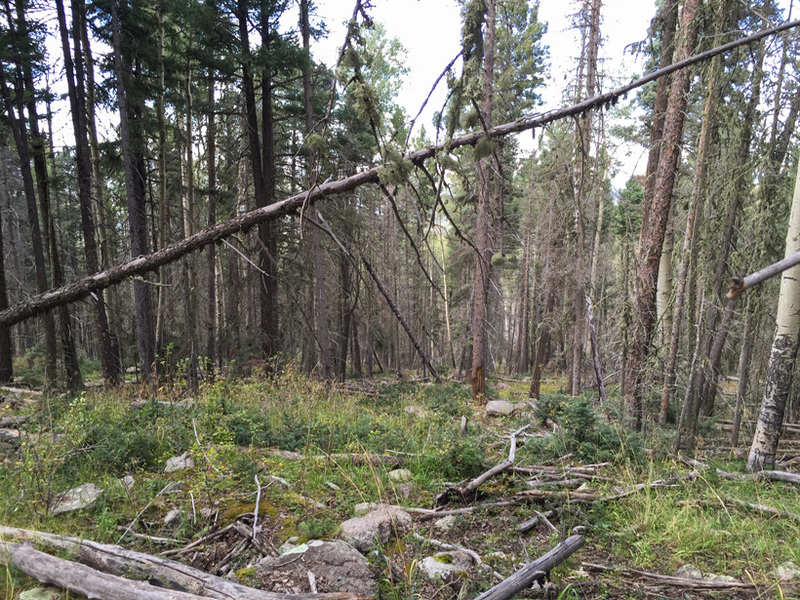 Is a bolt-action no good for timber? only after WWI did the bolt action start to gain popularity, most people tended to use what they had and money was tight until about the end of WWII, with roughly an 80 years of popularity , head start, the lever action gained a large following. if you grew up in the 1940s-70s watching westerns people like john wayne did not use a bolt action. many guys are more comfortable, carrying a carbine or rifle, having a faster second or rapidly accessible repeat fire capability. 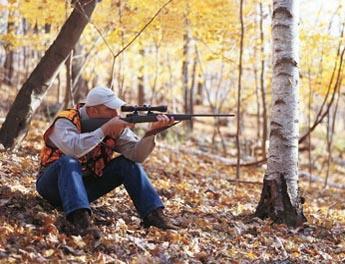 If your hunting timber and potentially making shots on rapidly moving game having a fast second shot may prove helpful, but its that first shot that generally counts. rifles like a browning BLR or remington 7600 do provide access to that rapid repeat shot capability and maintain reasonably consistent accuracy. and Id feel just as well equipped if I had a ruger #1 in a caliber like 375 H&H or 450 marlin or 35 whelen. This is all that is needed no matter what you shoot. 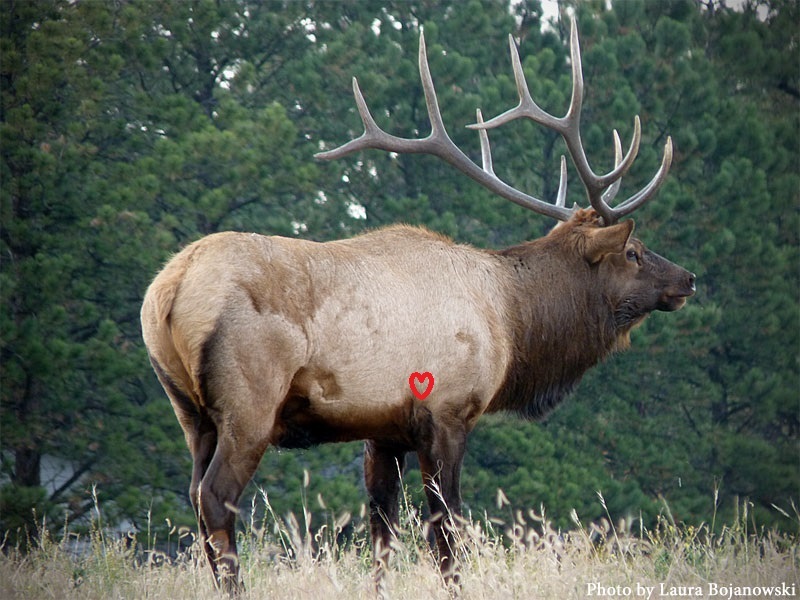 Even a 22 caliber will bring down an Elk. can be reasonably expected to be made from. 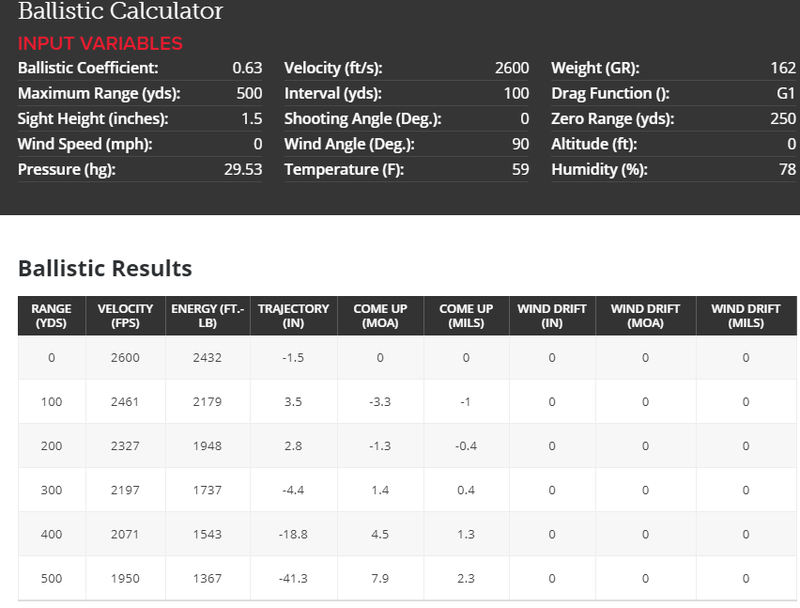 simple physics , results in a larger and heavier projectile, impact, having an advantage in potential penetration allowing the vitals to be reached and destroyed. 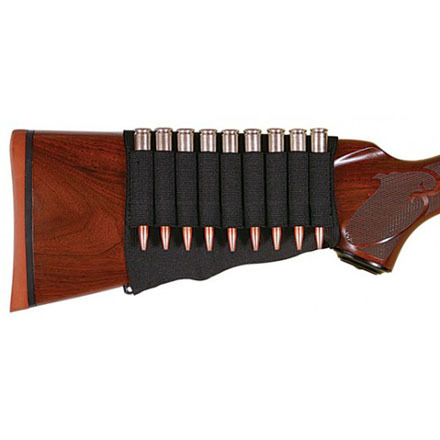 does anyone have or have opinions of the 300 Win Mag as far as hunting rifle is concerned? Just looking at one in a REMINGTON, SENDERO, RIFLE and would appreciate some in put and is around 800 a good price for it new? I was a little taken back by the weight but my 7MM is only 1-2 pounds lighter, and packing it around in Mont. hasn't been to bad but there again I'm not getting any younger( sometimes seems like not any smarter). I (they burnt the school down to get me out of third grade) was just kicking the idea around for the new scope which needs a new home to sit on. I'm not really sure about going to the 300wm as I really have a very good sense of the 7mm I'm shooting now and haven't talked myself into the 300 as I think the 7mm will do all that the 300 can do in my hunting areas in Mont. 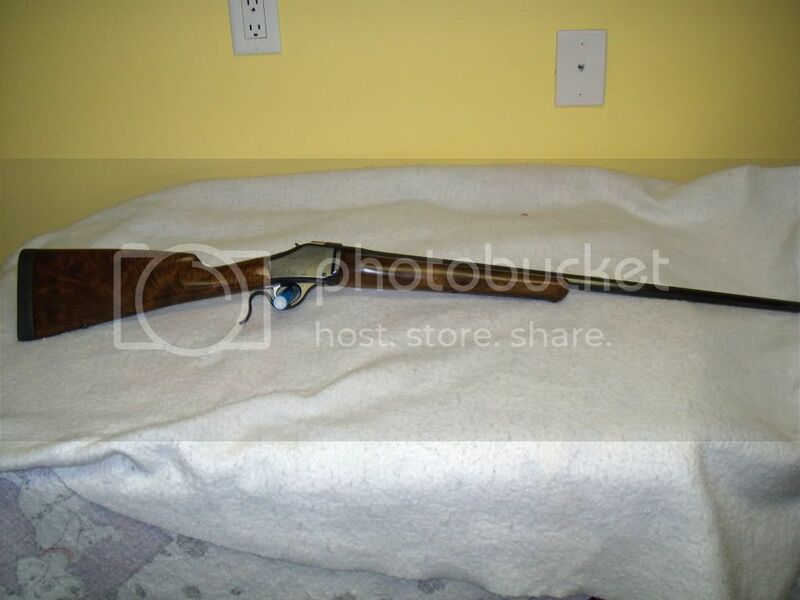 and the rifle was properly bedded and sighted in. that being stated, the 270 win, and 35 whelen both seem to be a more popular choice's with the older guys I hunt with.